A slightly descending blow increases spin rates by about 1000rpm and lowers the launch angle 4 or 5° vs. an ascending blow. The slightly ascending blow delivers around an extra 30 yards! 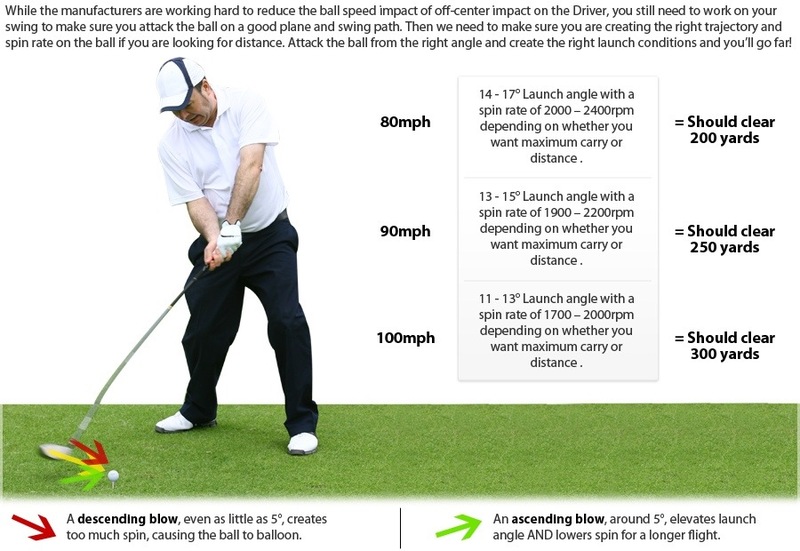 If you are hitting an extra 30 yards off the tee, then you are playing a different game with your approach shots. How much easier is a #7 Iron approach vs. a #4 Iron? In the search for extra distance, we have looked at your backswing and how to load up (noting some mistakes to avoid); then we looked at the transition and how to make sure you start that with the right body sequence. 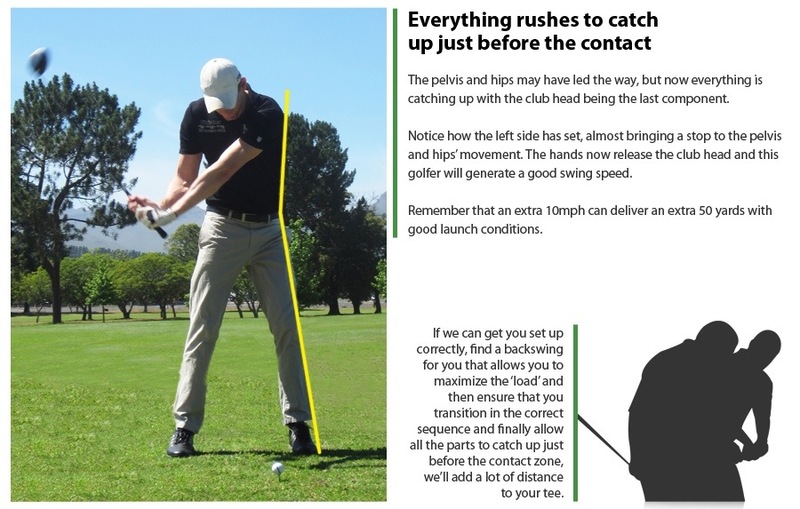 If you get that right then you can add a lot of club head speed. Carry the right sequence through to the contact zone and you will see great results. This entry was posted in fitness, golf, golf instruction, golf tips, sports and tagged golf, golf instruction, golf swing, golf tips, LPGA, PGA, power, rory, slice, tiger. Bookmark the permalink.